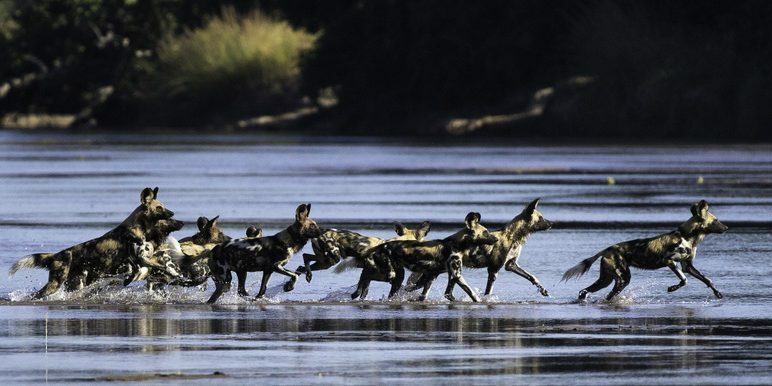 One of southern Africa’s top game viewing destinations on the edge of the lower Zambezi National Park – directly opposite the Mana Pools World Heritage Site. Breathtaking scenery and incredible wildlife… what more could you ask for. On the edge of the lower Zambezi National Park – directly opposite the Mana Pools World Heritage Site. 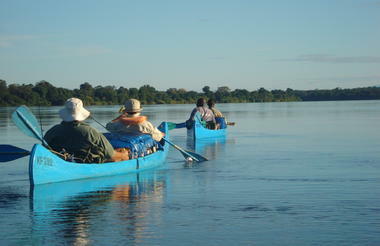 The Chongwe River Camp sits at the confluence of the Chongwe and Zambezi Rivers. A real home from home camp with 9 exceptional ensuite tents straddling the Chongwe River. As you can imagine, the views are stunning and game viewing is good on both day and night drives. Walking safaris, canoeing and boat trips add another dimension and really provides the opportunity to view wildlife from a different perspective. communal outdoor dining is a really feature of Chongwe with its dramatic backdrop and river views. All meals are prepared by the team of Chefs using locally sourced, fresh ingredients. The Lower Zambezi supports some amazing fauna and flora along the river banks. Our short foray into the Lower Zambezi is the perfect getaway and can easily be added to one of our other safaris destinations. Good for wildlife, birding, flora, nature, relaxation, adventure, fishing and with those dark clear night skies it's a star gazers paradise. Game drive transfer from Royal airstrip to Chongwe River Camp - home for 4 nights all inclusive. Includes parks fees. Time to pack up and bid farewell to Chongwe for your onward travel. 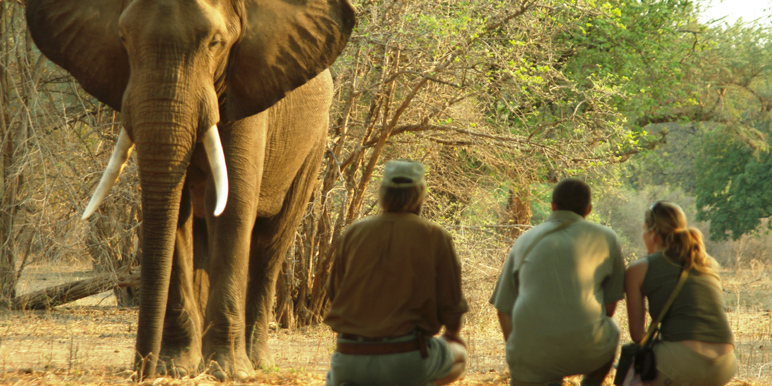 This is a great little trip to add on to another safari destination-ask your Zambezi Africa specialist for more details. The safari starts and ends at RYL – Lower Zambezi National Park [Royal Airstrip] Lusaka, Zambia. 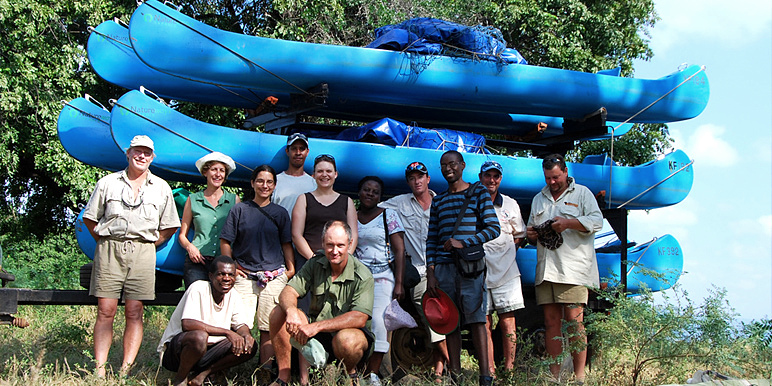 We’ve run canoe safaris since 1995. From Kariba, past Mana Pools, Sapi, Chewore and Mupata Gorge to Kanyemba. 230km of untamed adventure!